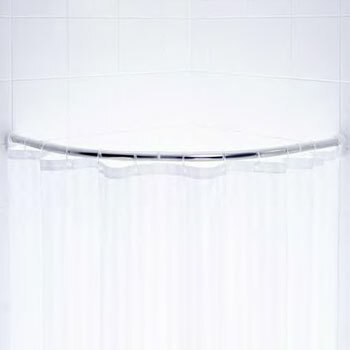 Our range of non corrosive shower curtain rods and shower curtain rings are easy to install, strong and sure to last. We have adjustable shower curtain rods that hold tension to 8 feet and a Euro-styled wire shower curtain rod with over 16 ft of stainless steel cable. We take pride in providing bathroom solutions from keeping water in the tub or shower with our shower curtain clips to our shower rod angled wall mount for sloped walls to the hookfree rod with the easy glide feature and clean look. 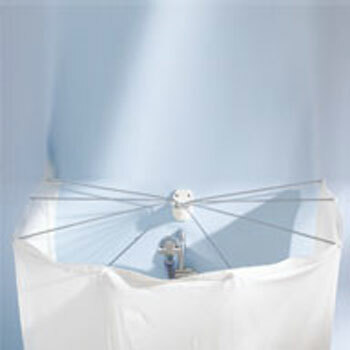 Select from our spring, hook-free or screw-in shower curtain corner rods, shower curtain clips or curtain hooks. 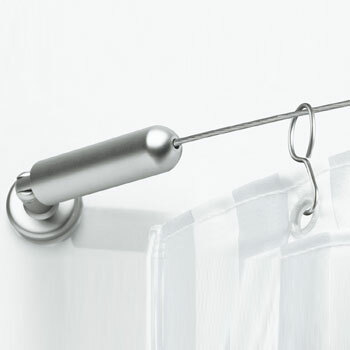 The hook-free rods have a clean look without the need for shower curtain hooks. 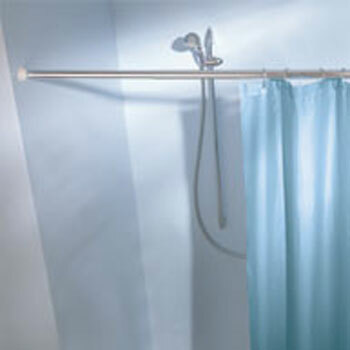 The hook-free rod has a track with gliders where your shower curtain can easily attach. 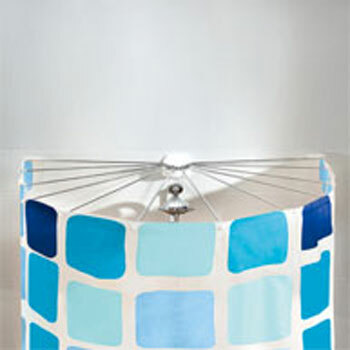 This clean and modern design works great in any bathroom and is also available in a corner configuration. All of our tubular rods are made of heavy grade aluminum. Very substantial and great for indoor or outdoor solutions or as a room divider. 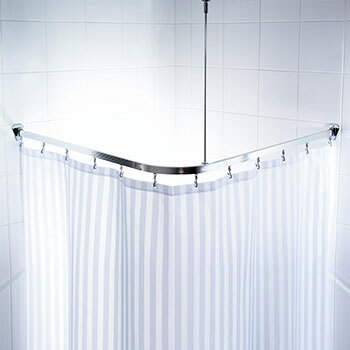 You can span spaces that typical shower curtain rods just cannot reach.